All life insurance companies in the market provide a host of protection-oriented plans for their customers. 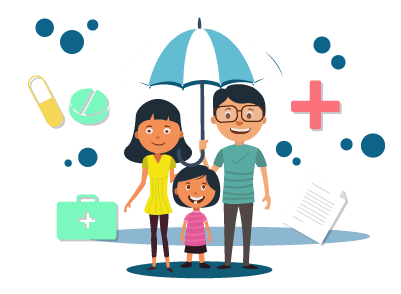 Since life insurance protection is essential for everyone irrespective of their age or income, term plans are the most important type of life coverage available for customers. SBI Life offers a host of term plans suitable for its customers. The cost of these plans is influenced by various factors like age, income, smoking habits, health condition, existing coverage, etc. The premium calculators available on the official website of the company automatically calculate the cost of a policy based on these inputs. SBI Life offers different types of term insurance covers based on the requirements of customers. There are also many other term insurance plans available in the market. Choosing the right plan from this long list of plans can be a daunting task. Cost is one of the major factors that people consider when choosing a term cover. Hence, it is better to calculate the price of the policy before making the purchase decision. When you calculate the cost instantly, you can use this as a way to narrow down the policies and pick the one that is most suitable for your needs. On the homepage, click on ‘Individual Life Insurance Plans’ under the menu labelled ‘Products’. On the resulting page, click on the specific plan you are interested in buying. You will find information about the product including its features and advantages. Click on the button calculate premium on the top of the plan page. Once the premium calculator is opened, enter information like the desired sum assured amount, policy term, premium payment frequency, date of birth, gender, smoking habits, name, email ID, phone number, etc. After entering all these details, click on ‘calculate premium’. If you decide to go ahead with the purchase, you can make the payment online after entering your personal details and medical details. Without a premium calculator, it will be difficult for companies to calculate the premium cost manually and provide customized information to customers. Since the personal information varies from one customer to another, the cost of a term insurance policy is likely to vary accordingly. Premium calculators provide results instantly and eliminate the difficulty in the process. When comparing multiple plans in the market, customers look for easy ways to find out the cost of a policy. Premium calculators help them in doing their research and picking the right plan suitable for them. Premium calculators are user-friendly and handy tools. They allow an insurer to cater to a wide customer base without any difficulty. Insurers can save the trouble of responding to every single quote request before closing in on a sale. With the help of premium calculators, customers can compare multiple products simultaneously and improve their overall knowledge about the products in the market. This will help them a lot in their decision-making process. The benefits offered by term plans are extremely high compared to the money spent on them. It is essential for everyone to protect the financial security of their families with these policies. When choosing term insurance covers, people look for plans that could take care of their specific needs. The premium calculators offered by SBI Life help them find the right coverage that gives them adequate protection against unexpected threats.